I have been a reader who sits on the sidelines of a day till , any story is strong enough to wake me to an epiphany of energy and I bounce back with an intense feelings of feeling alive. I realize something through them, I believe and question again through questions the meaning of the chaos of living. So much that even in darkness I can see myself and breathe in life as it is, as it should be, magical. I'll be honest, I read and I vanish in the chaos again. But it's been a miracle to read again after so many years. I never call it a review, a story is more of an experience, I think each of us has lived the partition in our grandmother's stories and still live in its aftertaste. 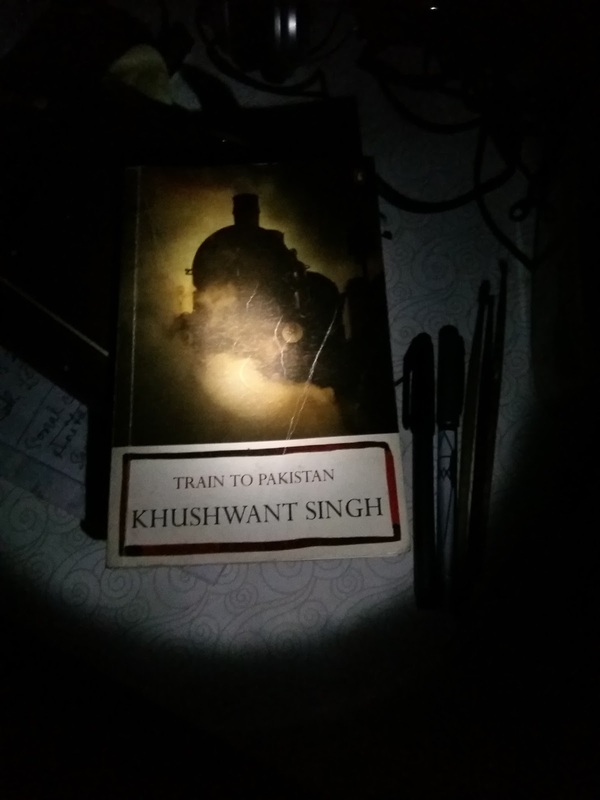 Khushwant Singh's Train To Pakistan reveals what every generation has grown up and indulged fiercely in- the love of war and lust for killing. This is my first book of him that I have read and I know now why he left a mark of things on animate and living beings through his stories. His deep observations, easy sarcastic tones and the thunderstorm in the undercurrents, making the characters as living beings more than characters, made me feel that he too lived the war. It never felt like a story of independence or myths of sacrifices, it felt more of living and breathing bones that plotted and conspired, loved and hated, betrayed and remained loyal at the same time. Train to Pakistan, a Pakistan before the roits of roots that I have been to yet; a Pakistan where my relatives still wait for love and acceptance; a Pakistan far from being just a Country which crosses over to an India is as alarming and fearless as India crossing over there yet it is written with the same pen that we choose to divide every land and create rifts which with passing time becones more like a ritual for the common man to preach and live in hatred off. A passage that Khushwant Singh ji quotes about violence rings a bell throughout the story of human race. It still exists in other forms, waiting patiently for its turn to burn our brotherhood into ashes and wipe humanity away. Those characters whom I expected to save humanity drown in the rising water of sutlej and those who appeared cannibals become more than human in the end. I see clearly how appearances deceive us and how we are too quick to judge the follies rather than appreciate the goodness in people. 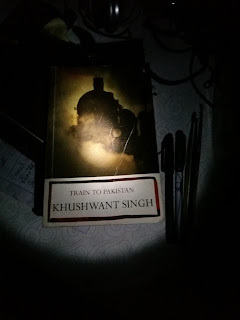 Kushwant Singh's story rattled my imagination and it left me with an open ending where I clearly saw the human. But who was 'He' Iqbal Singh or Juggut Singh - A Muslim or a Hindu, a saviour or a killer. What is religion and what is humanity? I found the perplexed puzzle even more complex than what we make of it and as simple as the desire to live in the folks of Mano Majra. To readers, I wish storytellers like Khushwant Singh still lives in us and change us for the better. A believer in dreams and the realities of life, a traveller and a passionate human.